The season for gorgeous weddings and alluring travel is right around the corner! This issue spotlights some unconventional—and beautiful—ideas for weddings. Be sure to turn to the pages of “Southern Oregon Love” for spectacular photos of a wedding set in a natural forest setting. And, if you’ve ever thought about planning a wedding that gives back, we’ve got some creative ideas for you. With summer fast approaching, we’ve also included some unique travel ideas. Explore the vast areas east of Bend on the Oregon Desert Trail, with many sections still untouched since its formation six years ago. On your next trip to the Oregon coast, take a tour of a traditional lighthouse. For adventurous souls, or if you want to step out of your comfort zone, try fishing in Belize. In “Travel on the Cheap,” read how local young adults have experienced some inexpensive, yet life-changing travel programs. Visit us online at BendLifestylePubs.com and Facebook.com/Bend-Lifestyle. 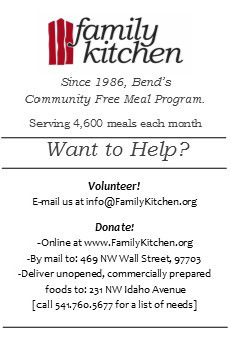 And, don’t forget to tell our advertisers you saw them here, in the pages of Bend Lifestyle.